in divorce and other family law matters. A successful attorney-client relationship is based on honesty. Patrick Crawford, our Annapolis Family Lawyer will communicate with you truthfully about your case, including its strengths and weaknesses, the chances of success, and the likely cost. Patrick knows how important your family is to you and how difficult a divorce or custody case can be. He will represent you aggressively while also being sensitive to the stress that you may be experiencing. Patrick knows that, when you hire him, you are entrusting him with great responsibility. He takes that responsibility seriously. His own happiness rests on knowing that he has done his best for you. Patrick is not like other Annapolis Family Lawyer. Patrick has a boutique legal practice in which he provides high-quality service to a small number of clients. His practice is small, and that is how he likes it. He is the only attorney in his office. Having a small practice allows Patrick to provide a highly personalized service in which he gets to know each client and delivers representation that is tailored to achieve that client’s unique goals. 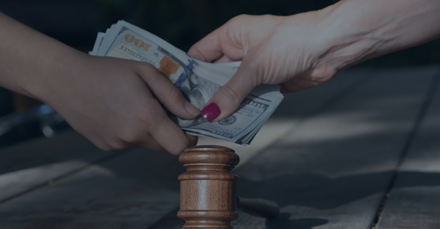 He is aggressive while also being careful to avoid wasteful efforts and strategies that usually serve only to increase the client’s legal fees. Patrick directs his efforts in a focused and intelligent way on things that are most important to the client and that are calculated to bring results. He invites his clients to participate meaningfully in setting the case direction, he is friendly, and he is responsive. The happiness of you and your children is at stake in your divorce or child custody case. Your case is one of the most important events in your life, and it is something that you should take seriously. Investing in an experienced attorney can mean the difference between obtaining an outcome that provides you with long-term peace, and obtaining an outcome that causes you many years of emotional anguish and suffering. Patrick has the experience necessary to provide the high-quality representation that you need. He has over 17 years of legal experience. 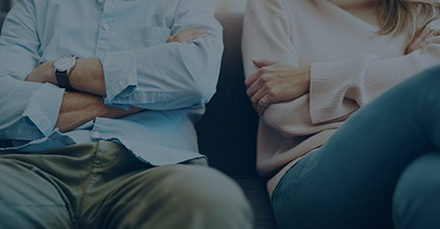 He has spent the last 14 years practicing family law, including divorce, marital property division, alimony, QDRO’s, prenuptial and separation agreements, protective orders, child support, and child custody. He has represented his clients in all stages of their cases, including settlement, trial, and appeal. He is smart and efficient in his representation. His clients have been grateful for his efforts and for the results that he has obtained. He is ready and eager to put his experience and skill to work for you. 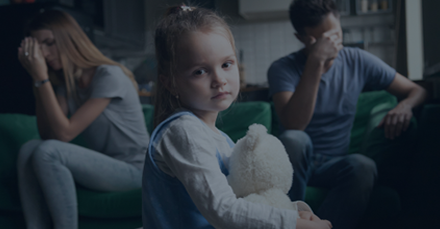 Our Annapolis Family Lawyer provides representation in courts throughout Maryland, including in Anne Arundel County, Calvert County, Prince George’s County, Howard County, Baltimore County, Baltimore City, Montgomery County, and Queen Anne’s County. Effective representation in the most difficult divorce and child custody matters. Why Put Patrick On Your Side? Parties in family law cases may reach an agreement that settles their case. However, they sometimes cannot settle, and then a trial is necessary. Patrick believes that aggressive trial representation is the most important service that he can provide, and he knows how important it is to prepare for trial from the start. Patrick understands the stress that you may be under, and he does not want you to be frustrated trying to reach him. He prides himself on being responsive, usually either answering the phone immediately or returning your call within a few hours. Patrick puts extreme energy and focus into each of his client’s cases. He understands the importance that your case has in your life. The outcome of your case is extremely important to him as well, and he will take every measure to achieve a favorable outcome. Patrick has over 17 years of legal experience, with over 14 years practicing family law. He has successfully represented countless people in divorce, child custody, and other family law matters. He has represented clients in all stages of their cases, including settlement, trial, and appeal. Patrick believes that a person should not go bankrupt obtaining quality legal representation. He wants you to be successful, and he will strive to make his fees affordable based on your financial circumstances. Patrick provides one-on-one service that will be personalized to achieve your unique goals. You—and only you—will set the objective for your case. And Patrick will always handle your case personally. He will never give your case to a paralegal or another attorney. Patrick has earned the appreciation and trust of countless individuals over his many years of practice. "Skilled, Efficient, Professional, extremely helpful"
"Excellent, Professional, and Highly Recommended"
Patrick Crawford is one of the best lawyers I have ever met. He paid close attention to detail, was extremely professional, and very personable. During a difficult divorce process, he made sure to make the process smooth and worry free. He took complete control and succeeded beyond expectations. Besides his prestigious education, Patrick also has a solid demeanor in the courtroom. As a medical professional, success during the process was of the utmost importance and Patrick delivered. I highly recommend him to anyone in the Maryland/DC area. I am extremely satisfied with Patrick and his abilities to get me the best results in my case. He was very knowledgeable and always kept me informed about my case. He was relentless and a go getter in pursuing a victory for me. He still answers my questions even after my case was settled. I would use him again and recommend him to and of my friends, family, or the general public. "Knowledgeable Attorney, Looks out for Your B"
"Patrick Crawford is the one!" "In retrospect — attorney Patrick Joseph Crawford"
Patrick Crawford was hired to represent me in my recent divorce case. He was courteous and respectful during our initial consultation. Every aspect of my case was explained to me beforehand and handled with great detail. I highly recommend the law offices of Patrick Crawford to anyone anticipating a separation or divorce. "Need an audacious family lawyer… go with Patrick"
I was blessed to have Patrick Crawford as my attorney in a divorce and child support litigations. He assisted me to arrange financial and family matters in a negotiation with my ex-wife's G St.lawyers. He is a very honest, dedicated, professional and bold lawyer. In addition, he did his best to work out a fee arrangement that suited me, taking into consideration my then financial hardship. I will use his services anytime I need a family attorney in the future. Mr. Crawford provided accurate information. He was always diligent in keeping me up to date and examining all options. He provided a realistic view of the legal process. "Great Attorney Counsel and Adviser!!!!" 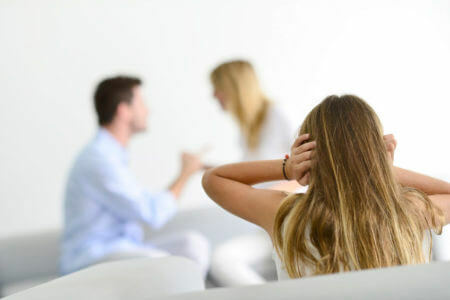 I highly recommend Mr. Crawford to anyone who needs a divorce attorney, I found him when I was desperate and he help me through very tough times and outcome was so much better than I expected, I was able to contact him whenever I needed him, He always returned my calls promptly and I was very very happy with his service. Patrick Crawford provided succinct and salient guidance throughout my case. His advice was consistently reliable well-timed and valuable. I received clear explanations of the implications of my alternatives. His responsiveness was outstanding. Every response was always timely. I am not by any means a "big" client yet I received a superior level of servic. Can I handle my own case using forms and information from the internet? It is certainly possible for a non-lawyer to proceed in a legal case using forms and information from the internet. But such a course of action may backfire. This is true even in uncontested cases. The reason is that legal information and forms on the internet are not reliable. Forms and information on the internet usually do not account for differences in state laws. Those differences may cause forms to be improperly worded or unenforceable in your case. Furthermore, information from the internet will not account for the unique circumstances of your situation. You may be experiencing problems that the internet does not fully address. While you may save some money during your case by relying on resources from the internet, you may cost yourself even more in the future. You may learn in the future that the outcome of your case was defective, and you may find yourself back in court with an attorney in a difficult and expensive legal battle to fix it. 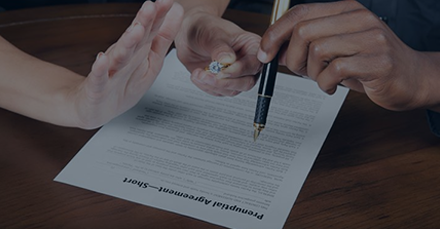 Hiring an attorney from the beginning is the only way to obtain the protection and peace of mind that you want. Is it better to hire a large firm or a small firm? Many people believe that hiring a large firm is the best way to win their case, but this is not always true. Large firms will not necessarily obtain a better result for their clients. Both large and small firms have good attorneys. So what is the difference? The difference is in how personalized their service is. Small firms have fewer employees, or no employees at all. Attorneys at small firms usually handle their cases themselves instead of giving their cases to another attorney or a paralegal. Attorneys at small firms are accessible to their clients, often answering their own phone. And small firms often charge their clients lower fees. In short, small firms often give more personal attention to their clients at a more reasonable price. What is Patrick’s main strategy—settlement or trial? The answer depends on the circumstances. Settlement and trial are very different. Settlement is a process in which parties try to work out their differences without court intervention. Trial is a process by which a judge will listen to the facts and evidence in a case and make a decision that is consistent with the law. Which one is best? Settlement is always best if it can be accomplished fairly. Settlement allows parties to retain control over their lives rather than having a judge make important decisions that will affect them and their children for years to come. Settlement is also less expensive than trial, which often takes many hours or even days of preparation and attorney time. 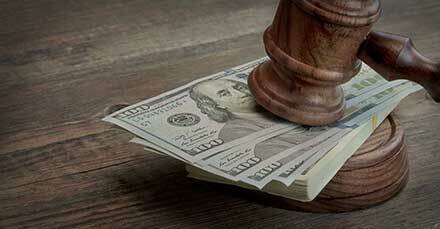 Settlement reduces stress because the parties no longer have to worry about what the court will decide. And settlement removes the possibility of an appeal, which either side may pursue if they are unhappy with their trial result. Patrick encourages his clients to settle if they can do so fairly. However, often parties cannot settle for a variety of reasons, and Patrick is ready and willing to aggressively represent his client’s interests at trial. Because trial is always possible, Patrick believes that he must begin preparing for trial from the very beginning of every case so that he is always prepared. Patrick is highly experienced as a litigator in the area of family law. Between 2001 and 2004, he worked as a staff-attorney for the federal government in Washington, DC. In 2004, he entered private practice, and between 2004 and 2011 he represented individuals and small businesses in a variety of legal matters. During this time, he practiced family law in addition to practicing personal injury, civil litigation, and criminal law. His experience practicing in a variety of legal areas provided him with a broad understanding of the law. Since 2011, Patrick has focused his talent and expertise almost exclusively on family law. During his practice, Patrick has successfully represented countless people in divorce, child custody, child support, domestic violence, and other family law matters of varying degrees of complexity. He has represented clients in all stages of their cases, including settlement, trial, and appeal. He is intelligent and efficient in his representation. He is effective in his communication with others, including opposing counsel, court staff, and judges. He is extremely knowledgeable of court rules and procedures. He is confident, acting aggressively on behalf of his clients both inside and outside of the courtroom. And he enjoys the respect of others in the legal profession. How easily will I be able to reach Patrick? Patrick understands that your case may be a significant source of stress in your life and that you may have things that you wish to discuss without waiting. As a result, Patrick strives to be available to discuss your case at a moment’s notice. He is almost always available in person or by telephone. He usually answers the telephone immediately, however, if he is unavailable, then he almost always returns calls within a few hours. In addition, he is easily accessible by e-mail, often returning e-mails within a few minutes. Finally, Patrick never refers cases to another attorney or paralegal. He is the only attorney in his firm. He considers your case to be his—and only his—responsibility. If you hire Patrick, you will never wonder who is handling your case, and you will always be able to reach him. What result can I expect from my case? No attorney can guarantee a win. Furthermore, every case presents unique challenges. Predicting the outcome of any legal matter is often difficult, if not impossible, because so many factors lie outside of the attorneys control. Such factors include the law, the underlying facts, the nature of the opposition, financial considerations, and the judge. The only factor that your attorney can control is the level of determination and effort that he applies. In other words, an attorney’s diligence and effort is the only thing that he can guarantee. If you hire Patrick, regardless of what obstacles and challenges your case presents, he guarantees that he will devote his time, energy, and expertise to your case in order to make the most persuasive case for you and to maximize the chances of success. Patrick charges an hourly rate for most matters that he handles. The amount of his time that a case requires is usually impossible to predict, however, by charging an hourly rate, Patrick assures you that the cost of your case will be proportional to the amount of time that it takes. 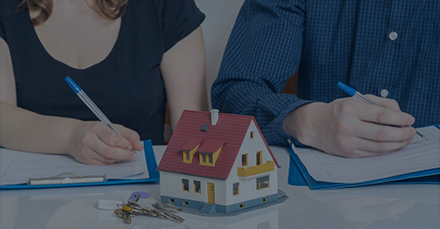 Although this system will result in some cases costing more than others, you will not overpay in the event that your case is resolved quickly. Patrick believes that a person should not have to sell his soul in order to obtain quality legal representation. When he meets with you, he will talk to you about your financial circumstances and attempt to find an hourly rate that fits within your budget. In some circumstances, he may agree to delay accepting payment until after a matter is finished. Low flat fees are available for uncontested matters. Patrick accepts payment by cash, check, or credit card. Acceptable credit cards are MasterCard, Visa, and Discover. Patrick’s training and experience enable him to represent his clients very aggressively, however, he believes that the level of his aggressiveness should be measured based on the demands of the case. A case in which the parties are respectful towards each other may require less aggressiveness than other cases. Nevertheless, Patrick does not shy from difficult confrontations or legal measures when they are necessary in order to accomplish a client’s objectives. Patrick strongly believes that an effective attorney must be ready and willing to stand up for his clients and to pursue their legal rights without backing down. Doing so may require that he ask uncomfortable questions of the opposing party, file certain motions, gather all necessary documents and information, never be intimidated, be willing to go to trial, make forceful arguments in court, and otherwise pursue his client’s rights to the very end. 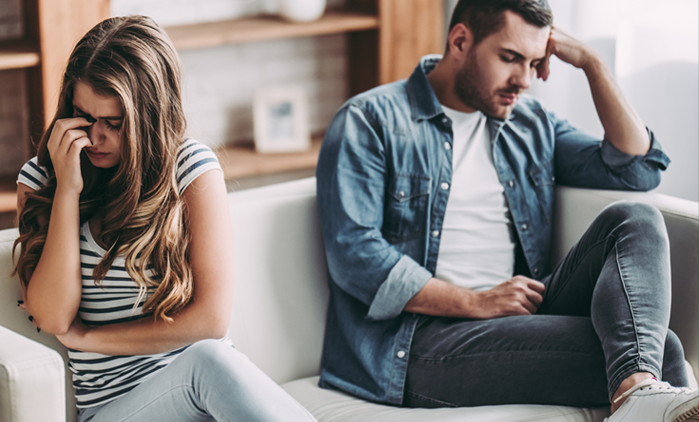 Patrick understands that the process of your divorce or child custody proceeding might come with many questions, which is why he provides a helpful e-book free of charge. Untying the Knot informs readers of the protocol for various family legal matters. His insights have given clients a better understanding of the court process and the law governing the issues in their case. CLAIM YOUR FREE COPY OF UNTYING THE KNOT TODAY!